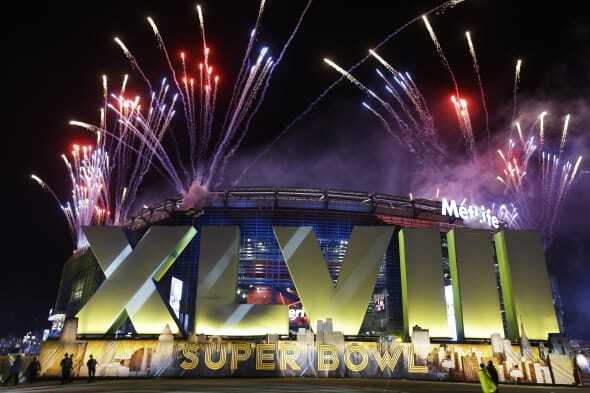 LAS VEGAS (AP) - Sports fans bet a record $119.4 million at Nevada casinos on the Super Bowl. The Gaming Control Board says unaudited tallies show sports books made $19.7 million on the action. The Denver Broncos started out as a 2.5-point favorite but the Seattle Seahawks won 43-8. Odds makers say Peyton Manning fans drove the unprecedented handle, flooding Las Vegas and northern Nevada with wagers on the favored team and its veteran quarterback, who was named the NFL's Most Valuable Player for the 2103 season the day before the game. Many believed Manning was primed for a big game after his record-setting year. The previous Nevada record was set last year, when gamblers wagered $98.9 million. Some casinos say they lost out on proposition bets, including whether a safety would be the first score of the game.